Here’s what’s happening in the world of television for Thursday, March 21. All times are Eastern. Another Thursday, another standout turn from Pamela Adlon, here also serving as director and one of two credited writers (alongside Sarah Gubbins). 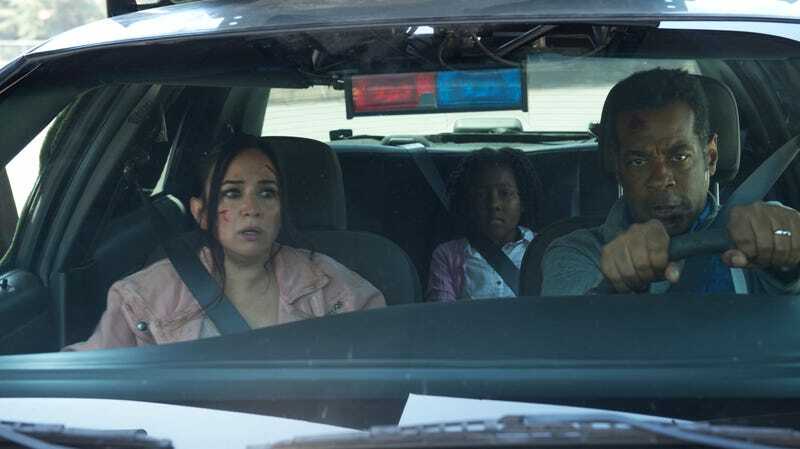 But it’s not like Better Things needs a terrifying car stunt to make it our top pick—it’s one of the best things on TV right now. Here are some of the other best things on TV right now, including (but not limited to) the continuing adventures of Diane Lockhart; Discovery on a bit of a hot streak; the consistently wonderful Brooklyn Nine-Nine; Drag Race doing Trump: The Rusical; and the penultimate, Abbi Jacobson-directed episode of the great Broad City. Take your pick, and for once, be glad that The Good Place is on hiatus. That’s a crowded enough slate as-is. Will & Grace (NBC, 9:30 p.m.): The revived W&G is pretty hit or miss for us, but today we learned something new. It is this: The words “Samira Wiley guest spot” are enough to get us to tune in to pretty much anything. Even better, she enters the story when Karen (Megan Mullally) gets snowed in at the office; apparently Wiley’s character also works in the building. We’re ’shipping it already.